The second entry in the 'Mysterious' saga follows the adventures of the enthusiastic Firis Mistlud and her loving older sister Liane Mistlud. The sisters have lived their entire lives in the isolated town of Ertona, where Firis uses her unique ability to see where crystals of materials are buried. 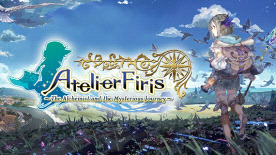 By way of a fateful encounter, Firis learns of the Alchemy Exam and decides to take her first step into the outside world, setting off on a grand journey to become a certified alchemist and discover the mysteries that life has to offer! Experience a vast world with towns, environments and other locations! ©2015-2017 KOEI TECMO GAMES CO., LTD. All Rights Reserved.